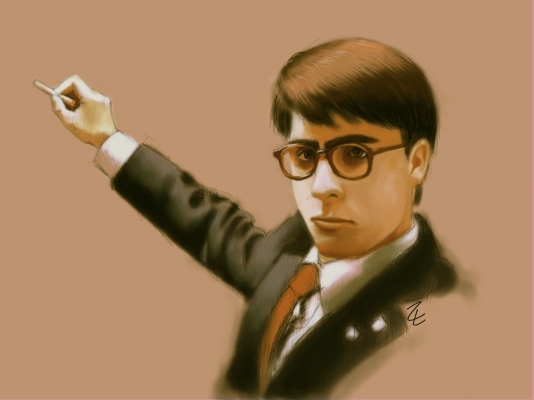 Jason Schwartzman from the Wes Anderson movie, Rushmore. A 18"x24" print. I have been drawing all of my life, but I would have to say I became an artist my second year of college. I had super inspiring professors and friends that pushed me to create and really challenge myself. From that moment on I never really stopped working on art and I never will. My favorite medium is definitely Micron pens. They are so clean and consistent, they are hard not to love! But I can't forget about digitally painting in Photoshop using a Wacom tablet! I love being able to create new brushes, having an unlimited color palette, and NOT having to clean up when I am done.